Join the Karam Team on January 19-29, 2017 as we climb Africa's tallest mountain with mountaineer, Mostafa Salameh. Learn how you can join us as we take on Mount Kilimanjaro and raise money for Karam Foundation's education programs for Syrian refugee youth. Mostafa Salameh is an mountaineer, author, and motivational speaker. He completed the "Explorers Grand Slam" challenge in January 2016, becoming the only Jordanian and one of 13 people in the world to have succeeded in conquering the North Pole, the South Pole, and all of the Seven Summits. In his book Dreams of a Refugee, Salameh describes his life's journey from being a refugee to fulfilling an unexpected vision where he was standing on top of Mount Everest. His work focuses on raising awareness about multicultural and religious coexistence. He believes that human beings have to develop a greater sense of universal responsibility in order to overcome the challenges of our times. Today, he is inviting YOU to climb Mt. Kilimanjaro with the #Climb4Karam team to help Karam build a better future for Syria. Mount Kilimanjaro is Africa's tallest mountain. It comprises three extinct volcanoes: Kibo, Mawenzi, and Shira. The highest of these points, Kibo, stands at 5,895 meters above sea level. Located in northern Tanzania near the Kenyan border, Kilimanjaro is one of the world's most popular and rewarding mountains to climb. Although it demands considerable preparation and effort, Kilimanjaro does not require specialist mountaineering skills, and is, strictly speaking, walked rather than climbed. The incline is relatively gentle throughout -the most challenging slopes being a slightly steeper section with loose terrain near the summit. The wildly changing climactic conditions along the ascent of Kilimanjaro make for varied sights and spectacles along the way. The rainforest is home to the biggest range of life on the mountain. Mohamad Ojjeh is the Executive Director of Documentation & Smart Aid Coordinator. Ojjeh is a Syrian American from Damascus, Syria. His love of photography and film inspired him to create a production company: Dragonfly Production. He lives in Boston with his wife, Carolyn and two kids, Deena and Faris. He volunteers with the local youth soccer teams, coaching, filming and photographing sport events for teams in his community. Nadine Salem is a Syrian-Canadian Senior Product Marketing Manager at Microsoft. Born in Aleppo and now living in Seattle, Nadine is a seasoned traveler and hiker. Her daughter studies at the University of Washington, and her son at Northwestern University. She is passionate about the Syrian cause and is a long-time supporter of the Karam Foundation. Nadine is committed to climbing Kilimanjaro to raise awareness around Karam's unique Innovative Education programs. Roman Kishi lives in Washington DC. He was born in Prague, Czech Republic, but grew up and spent his childhood in Homs, Syria. He is a pediatrician at Children's Medical Associates of Northern Virginia. He is married and has three daughters . Roman has joined Karam Foundation team few years ago when the Syrian conflict irrupted, and traveled to Turkey several times to help and treatSyrian refugee kids. Climbing Mt Kilimanjaro would be a great opportunity to raise awareness of the worst human disaster since WWII that the world has so far failed to resolve, and on a personal level it would be the most physical challenging thing he has ever done in his life. Jude Wafai is a Syrian American masters student in Anthropology at AUB. Former intern for Karam Foundation and mentor on 4 zeitouna programs. Sports lover and always interested in a physical challenge especially if it’s for charity. Looking forward to her first real climb! Nour Hatoum is a Syrian-American undergraduate student from Chicago. Having spent two years at George Washington University, Nour decided to take a gap year away from school in an effort to learn more outside the classroom. This will be his first work with Karam Foundation. Nour loves the outdoors, travel, and of course, the Chicago Cubs. Reham Hamoui is a Syrian-American activist whose work has focused on humanitarian issues for five years. She has coordinated aid projects, advocated on capitol hill, and organized within her community. She is a graduate of UW with degrees in communication and international studies. While growing up in Seattle, Reham has trekked all over the PNW but Mount Kilimanjaro will be the most challenging climb she has ever attempted. 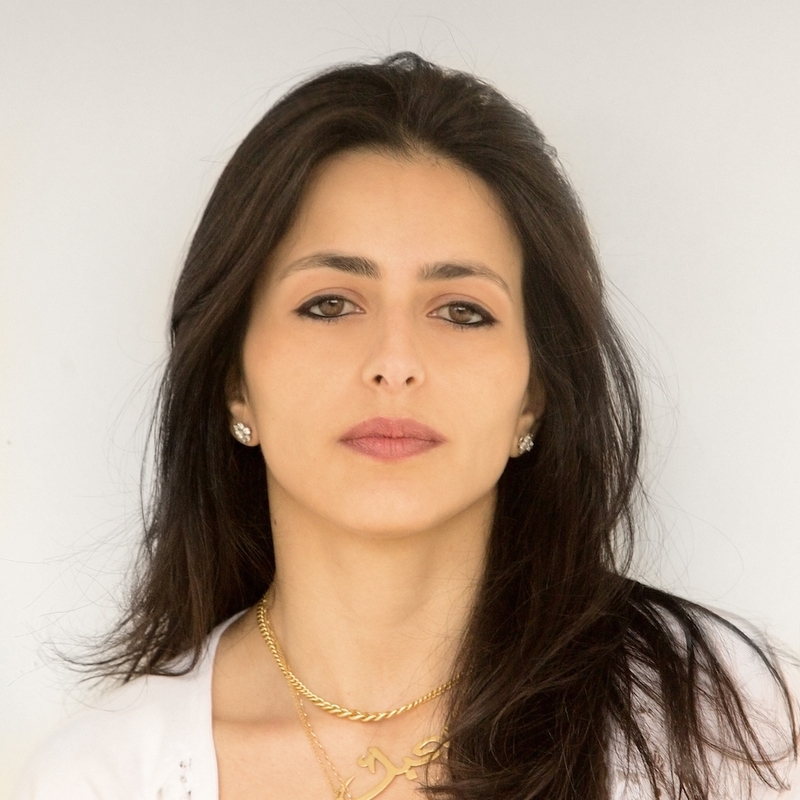 Abeer Seikaly, an architect, artist and designer weaves available resources with a strong environmental approach. To express architecture as social technology, Abeer uses many disciplines which help re-define the spaces in which individuals interact. In 2013 Abeer won the Lexus Design Award for her work “Weaving a Home” that explores dwelling concepts through social architecture. In co-directing Amman Design Week, Abeer is helping to provide active learning opportunities to a wide audience with the underlying mission to foster a culture of design-thinking-collaboration in Jordan. Abeer’s Architectural and Design Practice is where she crafts objects and spaces in response to the need for communal well-being. Abeer received her Bachelor of Architecture and Bachelor of Fine Arts from the Rhode Island School of Design in 2002. Stuart Kruse, CFA is founder and CEO of Kruse Asset Management (“KAM”), a Chicago Magazine 5-Star, boutique investment firm that makes investment decisions based on math and statistics, where he develops portfolio management and investment strategies for high-net worth individuals, trusts and family offices. KAM’s flagship product has consistently outperformed the S&P 500 (almost doubling its returns over the past 11+ years) placing KAM’s long-term performance in the top 1% of all asset managers. Stuart is a triathlete (qualifying for Nationals the past two years), competitive beach volleyball and basketball player, as well as a chess enthusiast. He is passionate about advocacy for those less fortunate, travel and living the adventures of life with his wife and four children. Razan Wafai was born and raised in Homs, Syria. She studied medicine at the Medical School of Damascus until 1989 and eventually moved to the United States in 1990. Razan is currently an Associate Pathologist and lives with her husband and three kids in Burr Ridge, Illinois. Razan has been involved with Karam’s work for the past few years, joining the organization on several Zeitouna programs and the KLP mission in November 2014. She also serves on Karam’s board as the Director of Health and Wellness. After running the Chicago Marathon this year, Razan is ready to conquer Mount Kilimanjaro with her daughter, Jude. We will follow up via e-mail with details about the climb after you've submitted a completed form. Thank you! We will follow up via e-mail as humanly possible.